Crosson Architects is an Auckland based architectural practice with an exceptional portfolio of work. Past projects include residential, commercial, institutional, masterplanning and urban design developments. Ken Crosson and his team have won numerous architectural awards locally and internationally with work being regularly published here and around the world. Our commitment to providing a superior service to our clients is extended with membership in Designgroup New Zealand, enabling larger scale projects to be undertaken, drawing on a range of resources and expertise from partnering practices. We strive for the highest standards of client service, design and documentation. At the completion of each project the aim is to have achieved a building that is beyond the client’s expectations. We believe good design will produce sustainable, functional and dramatic spaces and buildings that have an enduring quality over time. Each project is analysed for its special requirements and opportunities: the end result being not a preconceived idea but a combination of the client’s requirements and desires, a response to the site and the budget. Critical consideration is given to the project’s specific environmental and historical context, and to the appropriate use of materials and construction methods. 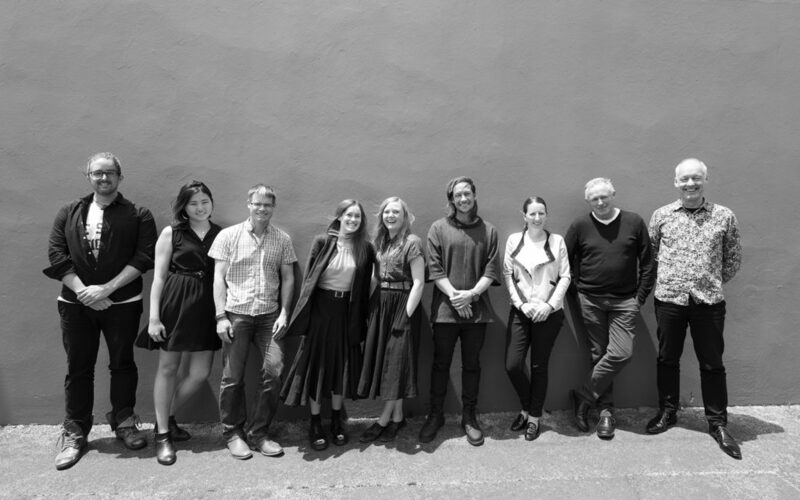 Ken Crosson, the Director of the practice with over 30 years experience in Architecture both in NZ and abroad, emphasise the importance of listening to client’s needs. Backed by a multi-cultural and talented team of individuals, their backgrounds and interests are diverse and yet their communication expertise allows them to work in a cohesive and efficient manner to support the design output. The practice has an extensive depth of experience built up over years of past projects and working together as a team.